Islamabad: Pakistan’s Islamist political parties took to the streets in major cities for second day on Thursday defying Prime Minister Imran Khan’s call for calm after the Supreme Court overturned the blasphemy conviction of a Christian woman, Asia Bibi. Majority of the schools remain closed in Islamabad and police on high alert throughout the day. Most protests were reported in Punjab province, known as the home ground for religious groups. 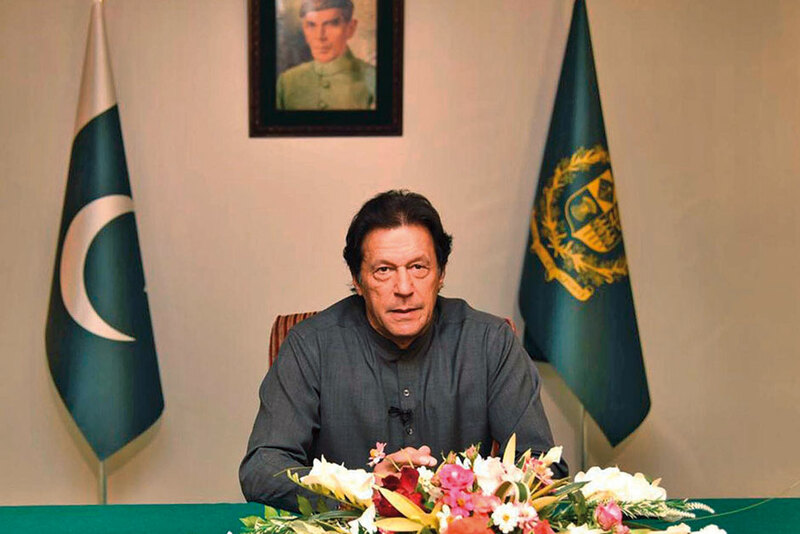 Prime Minister Imran Khan in his short but strong speech warned protesters to call off their demonstrations or face action. In a clear message to religious hardliners, Khan said, “We will protect people’s properties and lives and will not allow any sabotage.” Khan clarified, “The verdict was according to the law and the constitution. We all must respect the decision of the Supreme Court.” He also condemned the statements of religious parties against Supreme Court judges and Chief of Army Staff. Khan’s bold and concise speech won him praise at home and abroad but fundamentalist parties are still adamant to continue their protest unless Supreme Court change its verdict. Who is opposing the Court Verdict? All religious parties are now trying to cash in on the issue and joining the Islamists in their campaign. The supporters of Tehreek-e-Labaik Pakistan led by Khadim Rizvi partially locked-down major cities in protest. Pakistan Sunni Tehreek led by Muhammad Syed Ijaz Qadri called for a nationwide strike and protests and also demanded to place Asia’s name in ECL (Exit Control List) so that she cannot leave the country. Sunni Tehreek leader in a statement called the protest by Islamists as ‘referendum’ against Government. Another Islamist leader, Maulana Fazal ur Rehman, headof Jamiat Ulema-i-Islam (JUI-F) party, has long been accusing Imran Khan as ‘Jewish lobby’ man and indirectly suggest that Imran’s moderate policy encouraged the release of Asia. Latest circumstances are complicated and challenging for the government as more religious parties are joining hands with Islamists to extend the protests. One of the best options for the Government is to urgently allow Asia Bibi to leave the country and then deal with the protesters. Another option is to hold talks with protesters through a council of informed religious leaders to resolve the issue peacefully. Government is discussing the situation with all stakeholders including the opposition and Army. PM Imran Khan also held meeting with Chief of Army Staff Gen Qamar Javed Bajwa to discuss the security situation. During an address to the National Assembly on Thursday, Minister of State for Interior Sheheryar Afridi, informed that the government is in the process of talks with religio-political parties. However, the minister firmly declared that there would be “no compromise” on the rule of law and supremacy of law. “This is the message that this House needs to convey to the whole world,” he said, adding that the protection of lives and places of worship of minorities is the responsibility of the state. On Thursday, PM Khan authorised the formation of a committee to tackle the prevailing security situation following the Supreme Court’s verdict. The decision was made during the cabinet’s meeting chaired by the premier to discuss overall the law and order, political and economic matters ahead of his official visit to China. What are the consequences of Asia Bibi’s case? Asia Bibi, who was eagerly waiting to walk free after Supreme Court’s historic verdict is now facing life threat in the wake of massive protests by the Islamists throughout the country. According to a security official who refused to be named, Asia was allowed to go free but she prefer to stay under security. She is hoping to leave the country soon to re-join her husband Ashiq Masih and their two daughters in London. Her family sources told Gulf News that first choice was to go to the Untied States, Canada or UK if that is no possible then to any European states as she has been offered asylum by several countries but some countries are now reluctant to issue her a visa and draw the wrath of fundamentalists.